The photograph album was found in the University Archives. The album has been kept in its original order. The photographs have been removed from the original sleeves for preservation purposes. 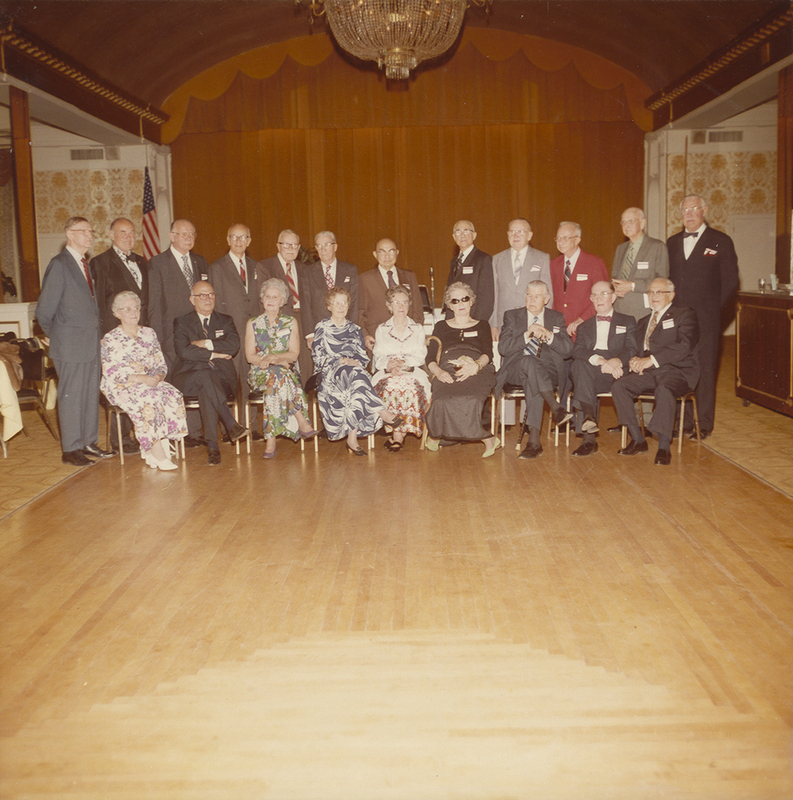 In 1968, the Alumni of the University of Pennsylvania School of Medicine held an event to commemorate the 50th anniversary of the class of 1918, the 35th anniversary of the class of 1933, and the 20th anniversary of the class of 1948. The luncheon and presentations were held at the University Museum – and included the presentation of the silver tea set of Dr. Alberta Peltz (M18). Guests included Dean Alfred A. Gellhorn, Helen Octavia Dickens, and representatives of the Board of Women Visitors of the Hospital of the University of Pennsylvania, and the Board of Women’s Hospital. The Photograph Album consists of 96 images taken by Ralph Color Photography of the event held at the University Museum. Description pages accompanied the images. All images are color. Board of Women Visitors. Hospital of the University of Pennsylvania. School of Medicine. Alumni Relations. University of Pennsylvania — Alumni and alumnae.